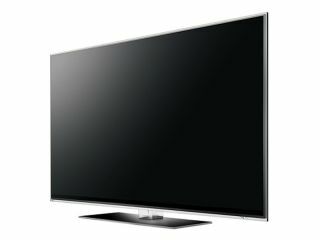 LG has indicated that half of its televisions produced in 2010 will be broadband-ready, bringing the likes of Skype, video on demand and other internet services to the living room. The prospect of Skype calls has immediately caused ripples of excitement, and IPTV direct to the television is likely to be a key theme of 2010. LG agrees, with the company explaining that it will show its backing for the technology in the coming 12 months. "With this technology, people can connect their TV and home modem – either wired (Ethernet cable) or wireless with a USB Dongle – and access YouTube and Skype directly through their TV in a way that is easy and instant. "Just another way LG is making Life Good by revolutionising how people view and use their TV! "LG has included Skype within its broadband TV service as a direct result of customer feedback. Now Skype's 5m users will be able talk to their friends and family across the world through their TV for free. "It's just like accessing apps on a mobile…but on a big screen!" It's certainly going to be an interesting technology to keep an eye on in the coming year.